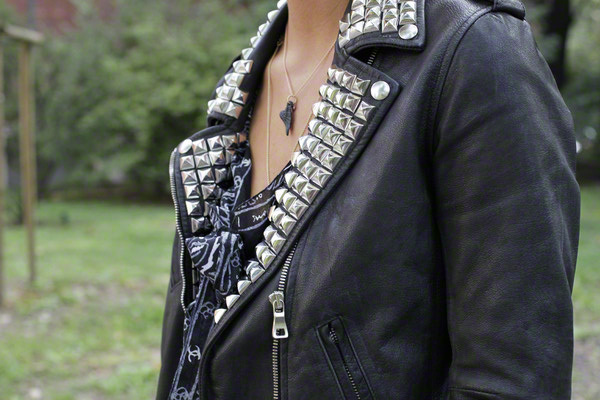 If you ask us, studs and leather are the best combination of things since macaroni and cheese. And we’re not the only ones. 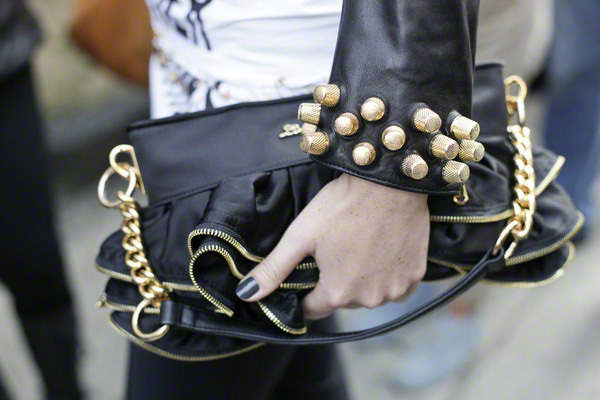 Leather and studs have been a big hit for decennia. You can spot them anywhere in the streets. 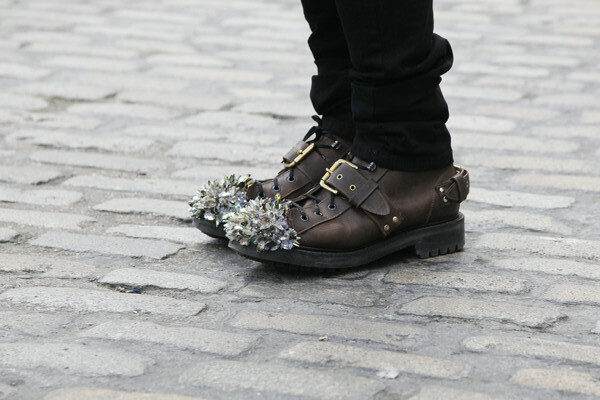 It doesn’t even have to be fashion week. Yet if you wanna see some true treasure examples you’ll have to go to Milan, London, Paris and New York. 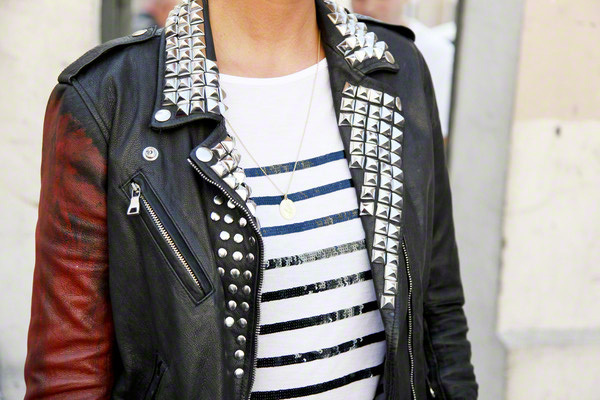 During the latest fashion season we’ve seen the tough trend popping up everywhere. 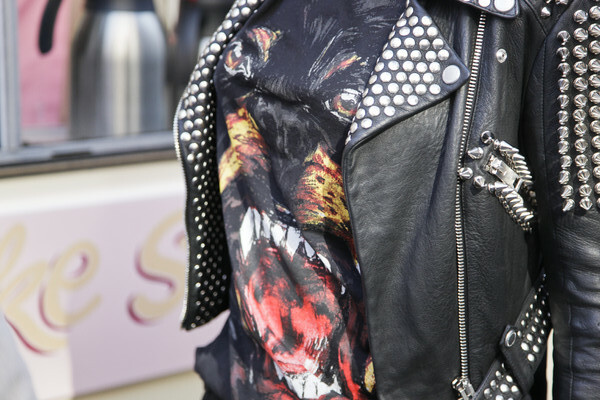 We saw some cool examples on shoes, bags and leather jackets worn by women as well as men. 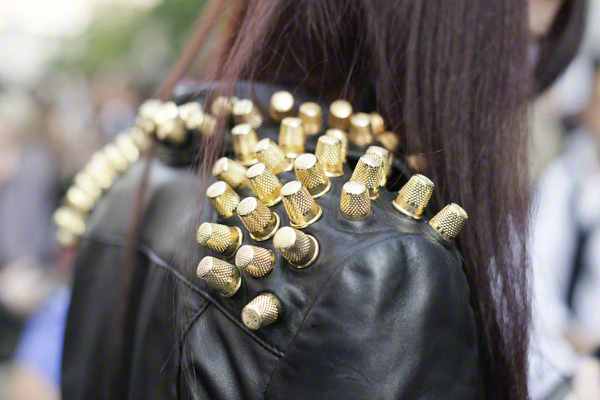 Anna dello Russo wore her studded leather Versace for H&M dress as one of the first in the world. 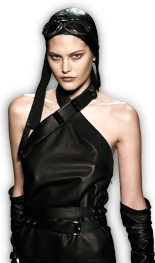 And since that collection has just been launched, we expect the trend only to get bigger. 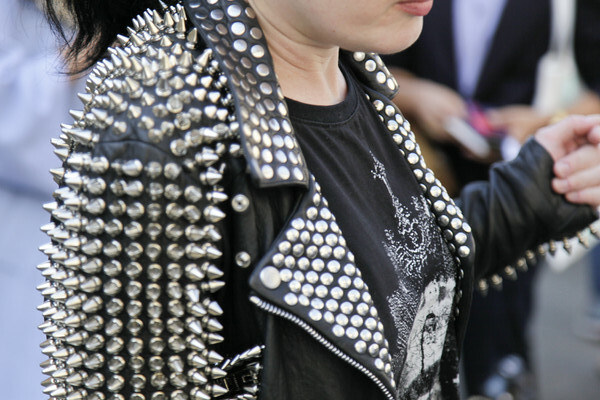 In bloggerland there’s even a serious trend of Do It Yourself studded fashion items. 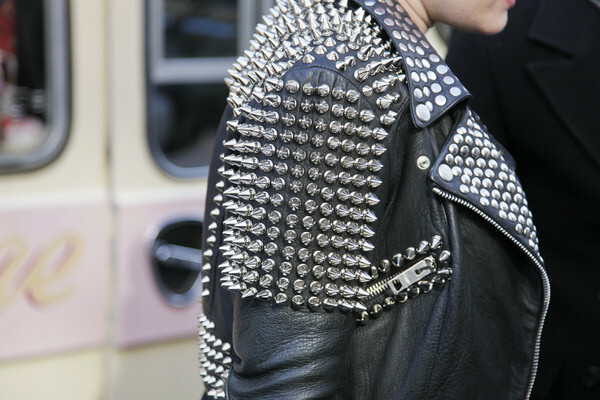 So next season we’re sure going to be seeing many more studded styles on the streets.